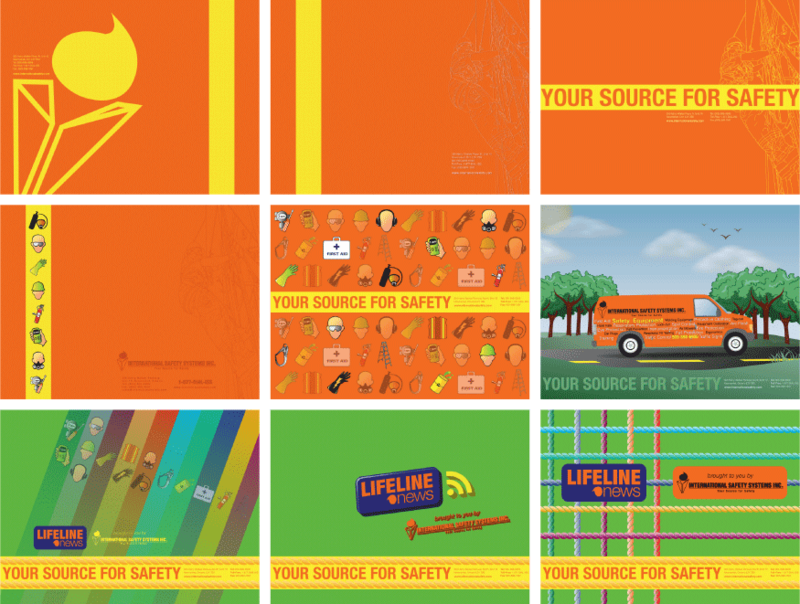 I recently finished these desktop wallpaper concepts for International Safety Systems. Now they are asking for public opinion about which ones should be available for download in different resolutions. It will likely be limited to the top four with the highest number of votes. These are all purely vector art, created in Illustrator. In number 8, I even used some 3D effects. Some readers may recognize pieces in the “Sunny Day Delivery” wallpaper (number 6). The trees are my own stock art that I have used before, the clouds are free stock, and the sun and sky are from a previous illustration of mine. I arranged things differently and made changes for the ground in this new piece. The van, by the way, is straight from the vehicle wrap design. I think that one is my favourite of all nine, but don’t let that influence your choice! If the image here isn’t big enough for a preview, you can see larger versions in the Safety Wallpapers for Your Screen album, which is on their Facebook Page. To have your say, you can vote in the survey. Pick as many as you’d like! Thank you, this is a great idea.